The location is good for touring around the Barossa. 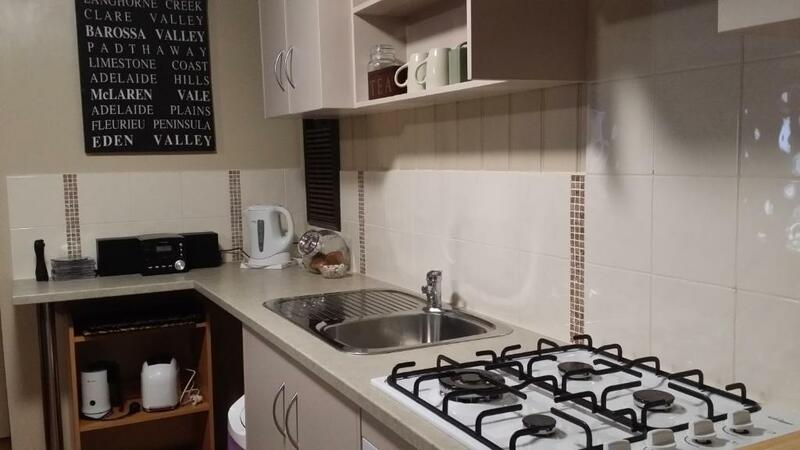 The property is on the outskirts of Tanunda rather than in the centre, but it's a short drive to this friendly town. The staff at the Art Gallery are outstandingly helpful and answered questions we didn't even think of! 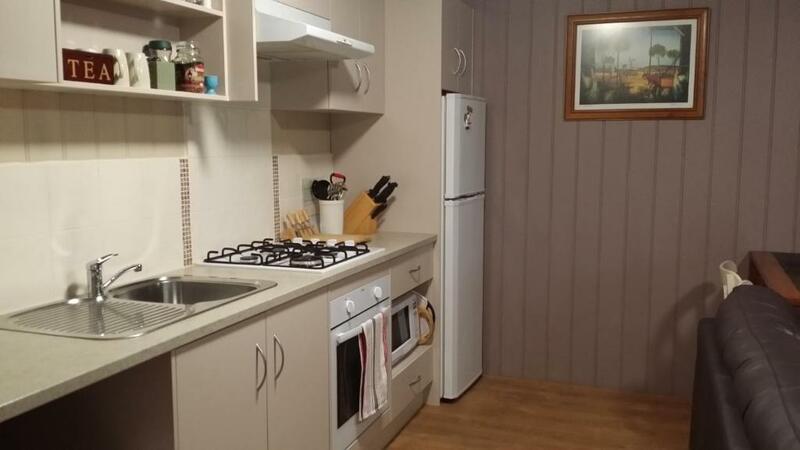 It's set in a quiet spot and has everything you want + extras ( biscuits, lollies, milk extra towels). We appreciated the DVDs and the extra blankets. Great contact from host. Well organized and a lot provided to make us comfortable in our stay. The garden facilities gave extra quality to our stay. I loved having the key in the front door and when we walked in there was music playing and it was so welcoming.Also absolutely loved the complimentary bickies. Easy to locate and wonderfully situated. Ideal for a couple getting away for the weekend but space outside to entertain over a few bottles of red too! The cottage was easy to live in with lots of little unexpected items, like nice glasses, biscuits, DVD's and a variety of music. There were great suggestions of where to eat and what to do. As we were travelling with a pet the garden was very secure and we were able to leave her at the property without fear of her getting out. This property was beautiful! The host, Wendy, was kind enough to let me know about an outdoor event happening the evening I arrived, and even provided chairs for me to take if I wanted to go! Very lovely to stay in, felt safe and secure. It was beautifully clean, and had everything you could ask for available. Would highly recommend, and will be recommending to my friends/ colleagues who stay in the Barossa. The facilities and decor are fabulous and comfortable. Loved the little touches such as the hand-written welcome note, and the good selection of teas and coffee. The fabulous garden spaces and outdoor dining areas, comfortable bed, well equipped for self catering, very pleasant owner. Lock in a great price for Little Para Cottage – rated 9.5 by recent guests! One of our best sellers in Tanunda! 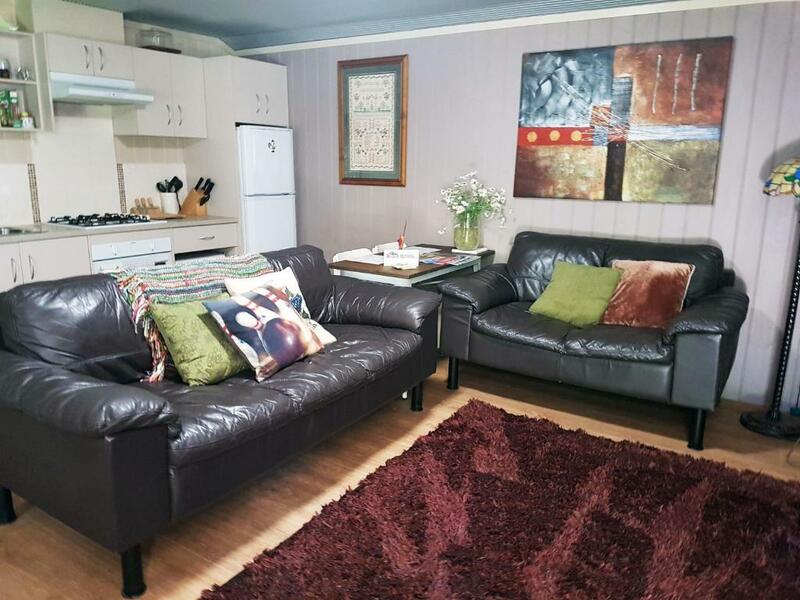 Located in the heart of the Barossa wine region in Tanunda, this air-conditioned 1-bedroom holiday home includes free onsite parking, a private garden and BBQ facilities. 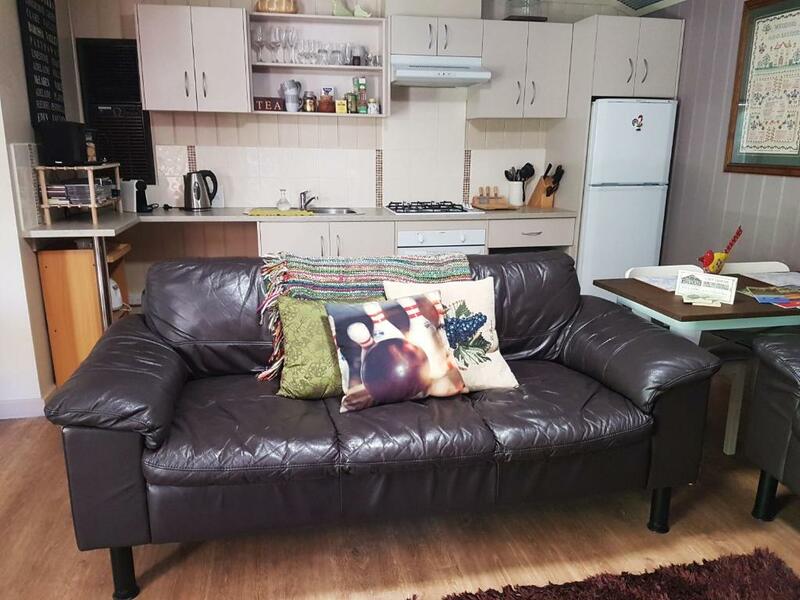 This holiday home features a lounge/dining/kitchen area, a separate bedroom and private bathroom. Towels and bed linen are supplied. Little Para Cottage is located 1.2 mi from Barossa Wine & Visitor Center. Adelaide Airport is 39 mi from the property. When would you like to stay at Little Para Cottage? This holiday home features a private garden with BBQ facilities, a lounge/dining/kitchen area, a separate bedroom and private bathroom. Our cottage is on the edge of the township and you can walk to several famous Barossa wineries and cellar doors in just a few minutes! The centre of town is a 5 minute drive or 20 minute walk away, with lots of facilities close by. Great location! Your home away from home! We are publicans, our business is hospitality! Fabulous wineries in our street make this area unique! The Barossa is a beautiful place to live and visit. House Rules Little Para Cottage takes special requests – add in the next step! Little Para Cottage accepts these cards and reserves the right to temporarily hold an amount prior to arrival. Please note that the total price of the reservation will be charged upon the morning of check in. Please inform Little Para Cottage of your expected arrival time in advance. You can use the Special Requests box when booking, or contact the property directly using the contact details in your confirmation. Cozy, artsy, comfy and beautiful yard. I would have liked a fresh sponge for washing up. Some crockery was cracked and chipped and the wi-fi situation isn't good. It's a bit over decorated and heavy on knick knacks for the small space, so perhaps not for the minimalists amongst us who find that stressful. I would have liked a broom to be able to sweep the floors. Loved everything could not have better suited us. The lack of an internal blind on the glass door next to the bathroom door. This compromises privacy a bit. There is an external screen. Clearer info on inclusion/exclusion of food/wine/milk etc....wasn't a problem as we planned to check out provisions first and head to Foodland to stock up but we are from Adelaide and familiar with the layout of Tanunda and where to get provisions. ..others may need more detail, especially if you are planning to visit a few wineries on the way to the B&B. Also I may have missed the details but there was heaps of DVD's which was good as we ended up watching tele which is something we don't normally do but we were expecting somewhere to plug the ipod into which there wasn't which if we'd known would have brought own portable ipod player. The cottage was very welcoming, we love old Australian cottage look but it had modern features such as bathroom/kitchen too...the garden was an absolute haven of privacy and we loved eating breakfast out under the verandah. All in all a great experience, we would definitely visit again. The cottage was very dark and quite warm. Even with the air conditioning unit and ceiling fan in the bedroom, we were both extremely hot and uncomfortable at night. The cottage also does not have working internet. The owner took quite awhile to respond regarding it and the answer was to try getting a signal outside (which also did not work). For the price, is expect working Internet and a way to make the room temperature comfortable. Fabulous accommodation fantastic location thoughtful host!!! Warm welcome to a beautiful home. Would definitely recommend this accommodation and stay here again. Nothing - the place was perfect for us. The privacy of the location and convenience of check-in. Perfectly located for us - could walk to the Main street for brunch on Sunday morning and then walk to our event at Lehman's Winery in the afternoon. We had a wonderful stay, Wendy was very helpful on arrival and gave us great local recommendations, and the area is perfect to wander around the beautiful area and try some wines at the local wineries!